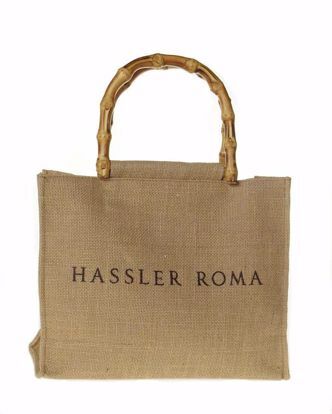 Cruciani C Macramé lace bracelets exclusively made for Hotel Hassler Roma, soft and waterproof. 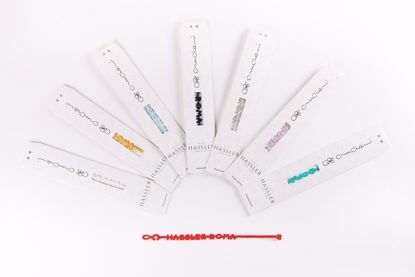 Available in the following colors: black, white, red, silver, light blue, navy, baby pink, acquemarine, lilac, yellow. 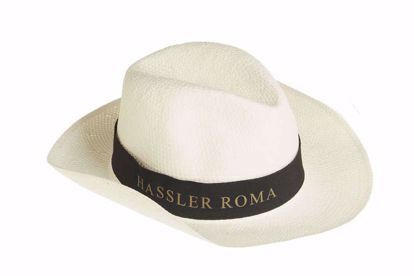 Available in white (with black stripe and white Hassler logo). 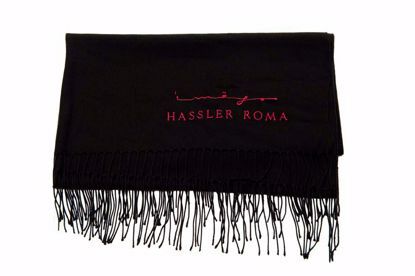 65% polyester - 35% viscose. Length cm 785, width cm 90. Available in black, one-tone pattern, lightweight. Logo Imàgo in red. Cotton-canvas with brown leather detail. Length cm 45, width cm 15, height cm 32. lnside clutch. 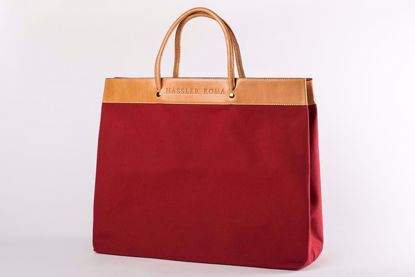 Available in red and navy blue, one-tone pattern. Hard visor. 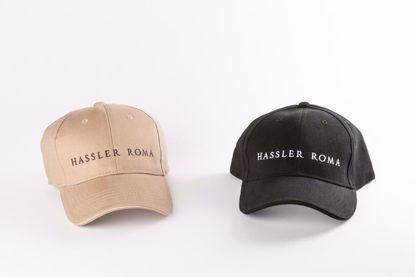 Available in black (white logo) and beige (Bordeaux logo).